Just a couple of warnings before you undertake this project: 1) it takes a lot of work to prepare each of the following layers and 2) the ingredients are relatively expensive. 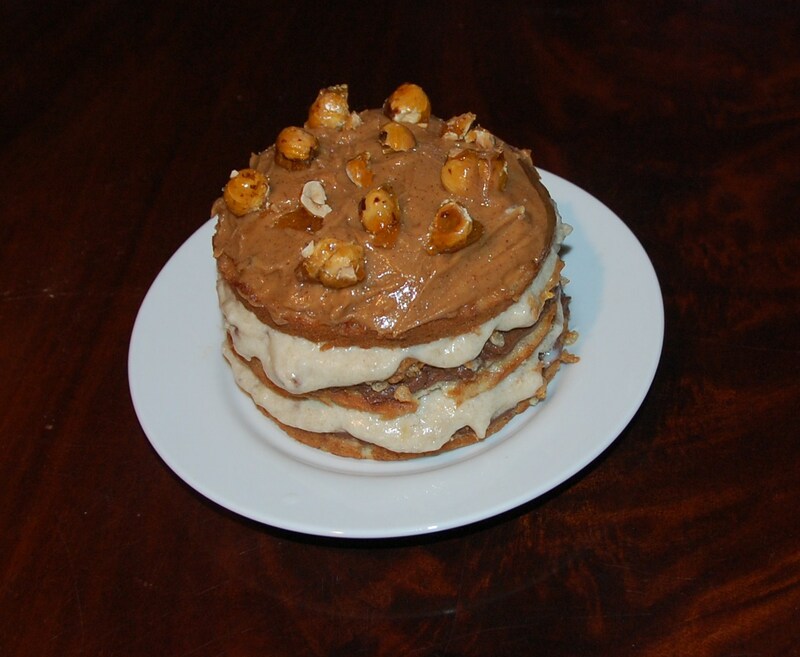 It took me most of a whole day to buy the ingredients and make the entire cake. Finding the ingredients may require a good amount of effort. Depending on where you live, gianduja chocolate, hazelnut paste and hazelnut praline paste can be hard to find. It may be necessary to buy some items online. Gianduja is a hazelnut-flavored chocolate that I found at Whole Foods. It is made by Callebaut and cost $12 per pound. 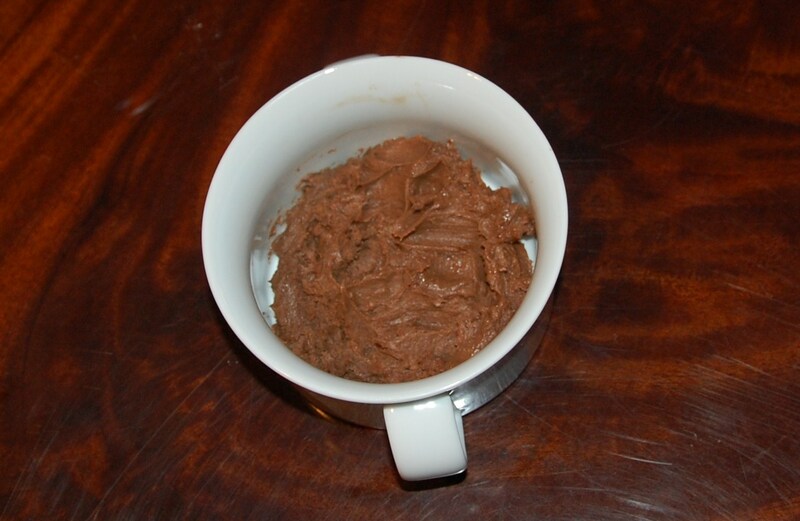 Hazelnut paste is like peanut butter, but is made with hazelnuts instead of peanuts. I made it myself. Hazelnuts are not always easy to find and usually cost at least $8 per pound. 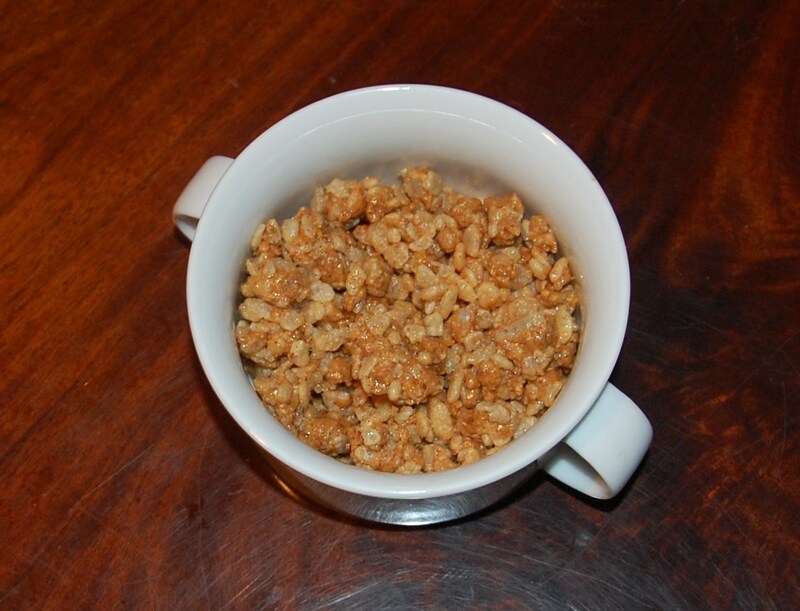 Hazelnut praline paste can be made from ground up hazelnut pralines, but a very smooth version can be bought at specialty shops like Sur La Table and at some upper scale grocery stores. An 11 ounce can of praline paste sells for about $12. The oils often separate from the paste, so it has to be stirred well to recombine them before using. Peel and weigh the brown bananas, then cut them in pieces so they fit in the food processor. Add lemon and ½ cup of the milk, and then turn on food processor until smooth. Some small chunks may survive. In separate small bowl or cup, add gelatin to remainder of milk. Combine sugar, cornstarch and salt in medium saucepan. Add banana mixture, egg yolks and ¼ cup cream to dry mixture and whisk until combined thoroughly. Bring to a boil while stirring. Reduce heat to a simmer and continue stirring for about 2 minutes. Add butter and gelatin/milk and cook for 1 minute. Pour mixture into bowl and set this bowl in another container with ice water to cool. Stir to cool quicker. Beat ¾ cup heavy cream until stiff, and then fold into banana mixture. Cover with plastic wrap and refrigerate until cool. This may take a couple of hours. I personally can never find roasted hazelnuts, so I usually buy raw ones from Trader Joe’s or raw bulk from Henry’s Market. I spread them in a single layer on a cookie sheet in a 350 degree F preheated oven for 12 to 15 minutes (depending on your oven), then place them in a tea (kitchen) towel and cover them for 5 minutes or so. The steam will usually make the outer skin on the nuts peel off easier. Just use oven mitts and rub the hazelnuts gently but firmly against each other and the towel. Most of the skins will come off. Don’t worry if some don’t. Remove skin fragments from nuts. Prepare a cookie sheet by placing parchment paper on it and spraying a little nonstick cooking spray on it. Set aside. Cook sugar in a small saucepan (preferably with a heavy bottom) set on medium heat. Sugar will turn amber when it is done. Be careful to not let it burn. If it does, start over. 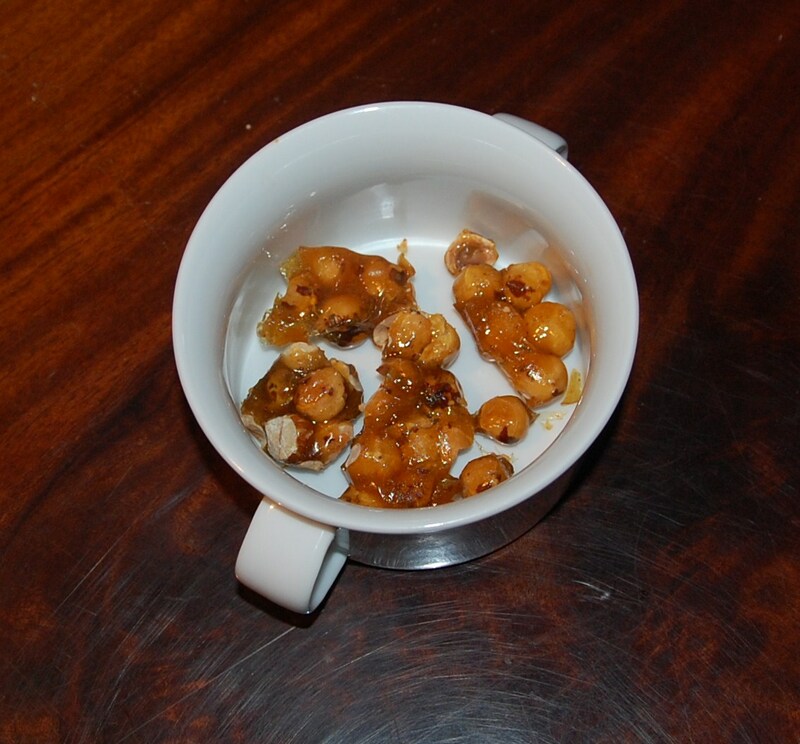 Stir hazelnuts into melted sugar and work quickly to cover each. Turn it out onto prepared cookie sheet and spread nuts out into single layer with oiled spoon, fork or rolling pin. This will harden and cool relatively quickly. Grind the hazelnut brittle in the food processor by pulsing it frequently. They ask for it to be powder, but I couldn’t get that consistency without it heating up, so the pieces were larger. To make hazelnut paste, I added about 2 cups of roasted/skinned hazelnuts into the food processor and pulsed for several minutes. It started heating up, so I stopped and scraped out the inside several times to help it out. It ended up being like a crunchy peanut butter, not smooth like butter. Mix brittle, paste, powdered sugar and salt until thoroughly combined. Then add crisp rice cereal and carefully mix together. Preheat oven to 325 degrees F. Grease 3 10” x 2” round cake pans and place parchment paper on bottom. Spray paper with nonstick spray. Stir first four ingredients together and set aside dry ingredients. Cream butter in stand mixer, and then slowly add sugar. Continue mixing at medium speed until light and fluffy. Add eggs one at a time and mix. Add the rest of the ingredients and mix together. Add dry ingredients at low speed and mix until combined. Add 1/3 of batter into each of the prepared cake pans. Bake for 20 to 25 minutes, or until toothpick comes out clean. Make sure the middle is springy when you press it gently or else it will be undercooked. It will be lightly browned. Cool about 10 minutes in pan, and then place rack on top and turn entire thing over. Remove parchment paper and let cool completely. Combine ingredients in small bowl. Whisk until light and smooth. Cool in refrigerator about 15 minutes so it is spreadable. Place the first four ingredients in a medium bowl and microwave at 50% power for 30 seconds, stir and continue heating for 30 more seconds. Stir until completely mixed. Then slowly add cream and whisk together until shiny and creamy. Cover with plastic wrap and refrigerate about 1 hour until cold. Right before you assemble the cake, place the bowl in a bowl of ice water and beat with electric mixer until light and fluffy. Layer 1) Place one cake on plate or cake stand. Brush top of cake with milk. Spread with half of the whipped ganache. Then spread half of the crunch mixture on top of the ganache. Spread half of the banana mixture over the crispy mix. Layer 2) repeat same as layer 1. Layer 3) Place third cake on top. Brush top of cake with milk. Spread frosting on top. Refrigerate for 1 hour or more. This is a pretty tall cake, so you can cover it with plastic wrap loosely. Before you serve it, break up the brittle and sprinkle it over the top. This cake serves between 12 and 16 people.